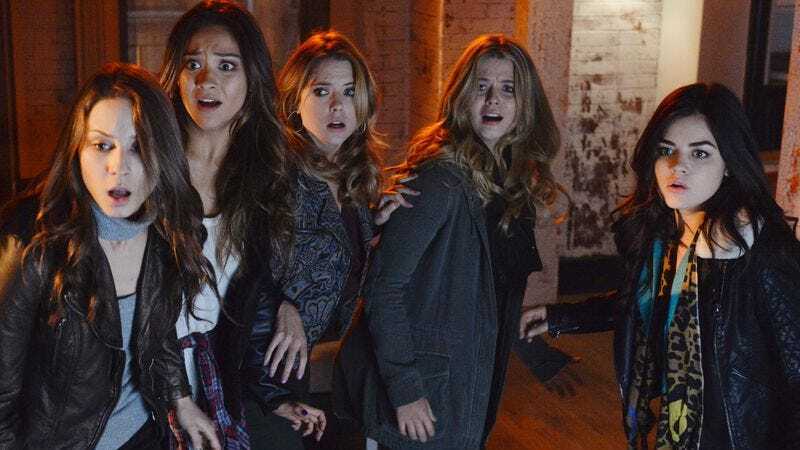 Fans of murder mysteries and shiny hair have reason to celebrate: ABC Family confirmed that the teens of Pretty Little Liars will continue to be pretty and relatively little for at least two more seasons. Ahead of tonight’s fifth season premiere, ABC Family renewed the soapy drama for both a sixth and a seventh season. Season six will begin airing mid-2015, while season seven will aim to do the same in 2016. Speaking to TV Line, executive producer Marlene King explained, “We know the ending of the show, and it’s not in season five.” Assuming the show continues to have a zeitgeist-y appeal and pull in decent ratings, that ending will, coincidentally, probably not be in season seven either. For now, fans can look forward to many more shocking twists and huge reveals while the actors can look forward to playing teenagers well into their 30s.